This level has medium difficulty and you need to use good strategy to complete this level. For this level you should try to play from the bottom and try to break the cake first. 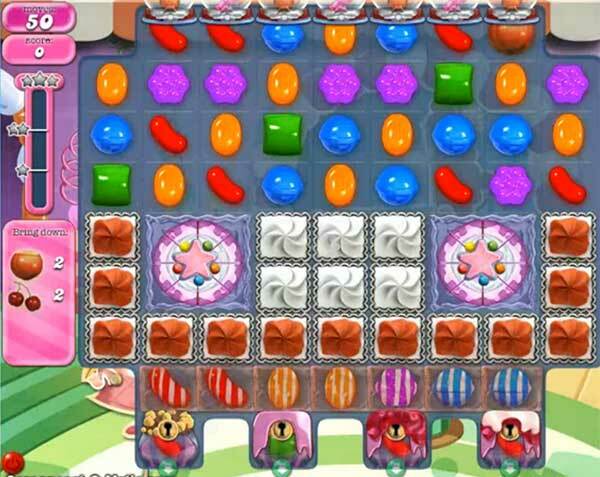 As you will break the cake it will weak the blockers and help to use striped candy that you already got to break the key to unlock the bottom candies. After play near to ingredients to take them to break any blocker near to them so they wont stuck and easily go to bottom to reach the target.